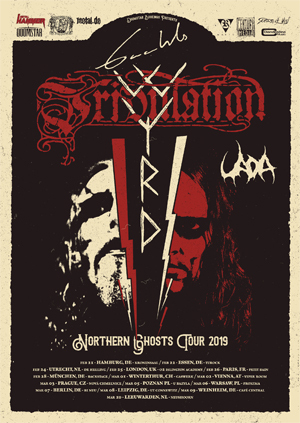 TRIBULATION have released a video for the song "Nightbound" as the Swedish outfit's North American tour hits Chicago tonight. Watch the new video now on KNAC.COM HERE. TRIBULATION said of the new clip: "We have once again collaborated with director Robert Piel, this time to create the imaginative and enigmatic video for "Nightbound"! The long night comes with grace!"